Last quarter of 2017 we have witnessed some big sales of crypto related domain names. According to namebio.com crypto domain names are reaching almost $10 million in sales. The most expensive crypto domain to date is ETH.com with sale price of $2 millions. Most of the domain sales happened when the price for 1 Bitcoin was between $15k and $20k. Starting from 2018 the price for Bitcoin and most of the altcoins dropped significantly, currently (May 2018) it’s half of the price that was at the end of 2017. Crypto currencies in general lost some of their shines and are not so hot topic these days, comparing with the same period last year. Same trend is happening with crypto related domain names. Checking VeriSign’s DomainScope Top 10 Popular Keywords for the last 90 days. There is no trending keyword related to “crypto” or “coin”. However in my opinion this is the best time to invest in crypto currencies. The prices are low and with good research it might become very profitable investment in near future. It’s the same with crypto related domain names, they are not selling very good these days, but if you hold and wait the price of crypto currencies to jump again you may flip your crypto related domain names for a good profit. Received few low ball offers for each one of them, but still not the desired price. I will definitely hold these domains in the next 1-2 years to see for what prices I can sell. I will share my experience. What do you think is it still valuable to invest in crypto related domain names or better invest in crypto currencies? 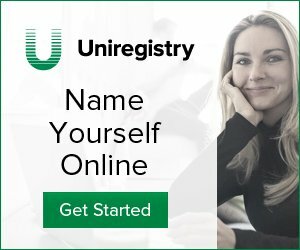 What crypto domains do you own? I agree with you on the “maybe” part regarding making profit by investing in either cryptocurrencies or crypto related domains. It’s a gamble. No one knows if these things came to stay and at what price they will remain in the game. Same goes for the domains I guess.